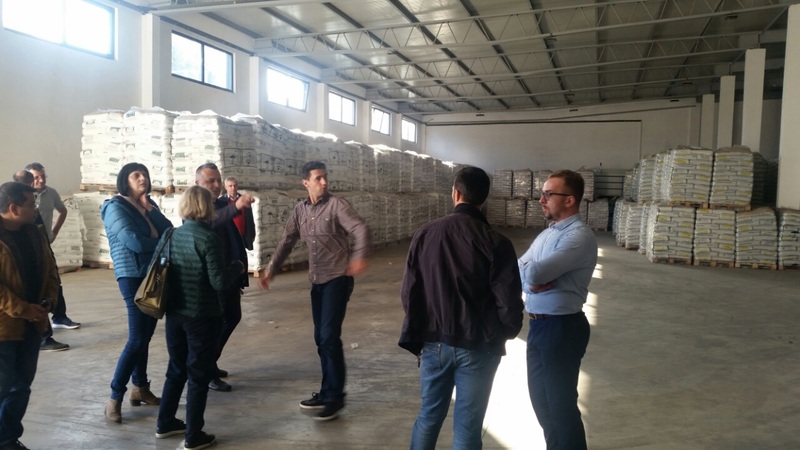 In order to assess the progress of the Rural Business Development Project (RBDP), IFAD Mission has been visiting project locations across Bosnia and Herzegovina in the period from 15-31 October 2017. Together with Dr. Halil Omanović, head of Project Implementation Unit at the Ministry, Mr. Ervin Bibanović, advisor to minister Dedić, joined the IFAD experts in their visit to Una-Sana Canton where RBDP is also, quite successfully, implemented in cooperation and partnership with cantonal and local authorities and farmers of the Una-Sana Canton. As an international institution, IFAD is primarily focused on poverty reduction through job creation and improvement of farm and non-farm activities in rural areas. This Project truly contributes to the implementation of rural development goals since, aside from direct investments in agriculture, they also include development and reconstruction of infrastructure, training and education, i.e. 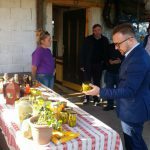 transfer of knowledge and new skills, which is essential for promotion and modernization of agricultural production,” said advisor Bibanović in his meetings with farmers from the Una-Sana Canton. He also added that, both in his capacity as the advisor to minister and as a member of the Steering Committee for IFAD projects in Federation of BiH, he would seek to have these projects produce great results so as to enable our farmers to seize all opportunities through its activities. Aside from the current Project, the seventh IFAD operation focused on competitiveness of rural agricultural businesses is expected to start soon. Also, the eighth IFAD project is in preparation, which means that three IFAD projects will be in the implementation phase in Bosnia and Herzegovina in the forthcoming period.